The European Commission published on 19 April 2016 the regulatory technical supplement for credit default swaps (“CDS”), setting out the types of transaction subject to the clearing obligation, as well as the entry into force of the clearing obligation (and frontloading obligation, where applicable) for each entity category. The clearing obligation comes into effect on 9 February 2017 for Financial Counterparties (“FCs”) and Non-financial Conterparties+ that fall into Category 1 (i.e., those entities that, as at 9 August 2016, were clearing members in an authorised CCP in respect of at least one of the asset classes subject to the clearing obligation). Category 2 entities (i.e., those Financial Counterparties not comprised in Category 1, that belong to a group whose aggregate month-end average outstanding gross notional amount of non-centrally cleared derivatives for January, February and March 2016 is above EUR 8 billion) must start clearing as from 9 August 2017. The clearing obligation comes into effect on 9 February 2018 for Category 3 (i.e., Financial counterparties not under Categories 1 or 2), whereas Category 4 entities (i.e., those Non-financial Counterparties+ not under Category 1) must comply by 9 May 2019. 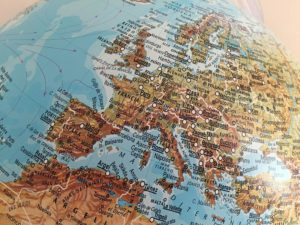 Also, inter-affiliate transactions between certain Category 1, 2 and 3 entities and a non-EU affiliates shall be subject to mandatory clearing as from 9 May 2019 unless an equivalence decision in respect of the non-EU affiliate has been made. Frontloading will apply to CDS trades entered into by Category 1, 2 and 3 FCs, entered into or novated as from 9 October 2016. Frontloading for these entities will apply for CDS trades entered into before 9 October 2016 if, as at the clearing start date, the remaining maturity of the trade is of at least five years and three months. For CDS trades entered into on or after 9 October 2016, frontloading will apply if the remaining maturity as at the clearing start date is of at least six months. If you have any queries or would like to receive more information, please do not hesitate to contact us. © BLX Limited 2018 | RegBot® is a registered trademark property of BLX Limited. | We do not store any personal data.